Internet appears to be a mine of precious gems from which diverse valuable individuals emerge and sensationalize the virtual world. 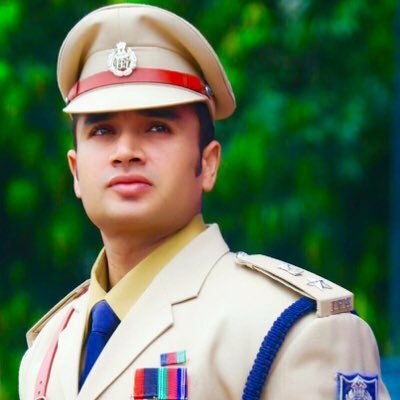 Earlier a Chaiwala shook the internet and now we have a dashing IPS officer from Ujjain, Madhya Pradesh, who has take the web world to storm with his killing fitness and attractive looks. 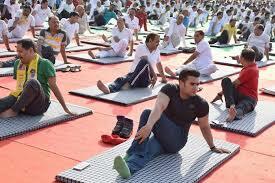 We are talking about the Superintendent of Police, Sachin Atulkar, the handsome office who is giving us fitness goals. Despite being young, this new Internet sensation enjoys a huge fan following and has become a fitness icon for the police department of the state. Talking about his family, his brother is an Indian Army officer and father is employed in the Forest Department. Apart from striking personality, another remarkable thing about Sachin is that he passed civil services exams in just one attempt. What’s more, Yoga and sports are his cup of tea and the officer has won a number of medals in both of these. As per Sachin, he manages his schedule in such a way that he gets some time for fitness, regardless of how busy his routine is. We wish to have more such officers in our country!